DWI charges are serious and complex. With decades of experience as prosecutors and defense lawyers, the DWI Defense Team at Azria & Bruffett is well suited to help you get past the charges you are facing. When you hire Azria & Bruffett to defend your case, you gain access to over 50 years of combined experience on all sides of the criminal justice system. This extensive experience and collaboration among attorneys within our firm helps your us deliver effective and creative DWI defense strategies. Part of our commitment to you as a person is our dedication to being available for you whenever you have a question or concern. Prompt client communication is a founding principles of our firm. Prompt communication helps us provide a personalized defense, specific to your circumstances. We find that the better you understand your case, the less daunting the process will be for you. Your attorney will review the legal basis for the charges brought against you to ensure that you understand your case and its potential impact on your life. Your attorney will review the possible outcomes of your case and identify any challenges that might arise to reach that outcome. Each case is different and each client is an individual and we always act accordingly. Your attorney will work tirelessly to achieve the most favorable outcome for your case. Most DWI cases are settled after negotiation, and our attorneys have successfully negotiated countless cases in numerous jurisdictions all over New York State. Our extensive experience ensures that an intelligent and productive approach will be employed to effectively defend your rights. Though our attorneys are highly skilled negotiators, if negotiations fail, you can rest easy knowing that you have a trial-seasoned DWI Defense Team ready to give you your day in court. Mr. Habib has prosecuted or defended criminal cases in New York State for his entire legal career spanning over 18 years. As an Assistant District Attorney in Onondaga County for 8 years, Mr. Habib prosecuted both misdemeanor and felony DWI cases, conspiracy, wire-tap and narcotics cases up to and including A-1 cases, the highest level felony charges. For the last 10 years, Mr. Habib has provided top quality criminal and DWI defense to thousands of defendants in courts all over New York. Mr. Habib was among the first to defend a DWI case under Leandra’s Law in New York State. Mr. Bruffett has substantial experience on all sides of a New York criminal case. As a Rensselaer County Assistant District Attorney, Mr. Bruffett prosecuted DWI cases and worked in the Major Crimes Unit. With the Onondaga County Assistant District Attorney’s office, Mr. Bruffett protected children and others prosecuting defendants in the Special Victims Unit. 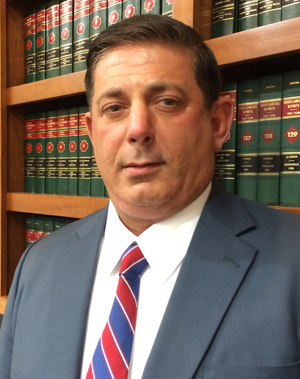 In 2012, Mr. Bruffett was elected as a Cicero Town Court Judge, where he still serves. 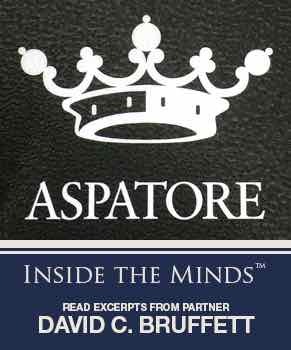 In 2015, Mr. Bruffett published on the topic of DWI in “Strategies for Defending DWI Cases in New York” by Aspatore Books. Mr. Bruffett defends individuals charged with DWI in Onondaga County courts and surrounding counties. He welcomes your call about your DWI. Ralph was very clear in his explanations of the legal issues I was facing and successfully fulfilled every promise he made. I would strongly recommend him. He truly went above and beyond in my case and that is a rarity for an attorney. I was charged with 3 counts of DWI with a BAC of .26 and was faced with serious penalties. It was Fathers day weekend and I found myself at the grave of my oldest son. I made it home thankfully without hurting anyone or causing any property damage. Stupidest thing I'd ever done. It's no excuse for dumb choices but Mr. Habib believed in me and working closely with the DA and counseling services got all charges reduced to 1 count of DWAI and 1 count of reckless driving. I will be forever in this man's debt because now I'm home with my other children instead of waiting for them to come visit me. Ralph persevered relentlessly through my difficult DWI case to bring it to a very favorable outcome. The case spanned over 7 months with multiple court dates and he was with me all the way through. He is extremely approachable and responsive as well as very knowledgeable and I would recommend him to anyone out there. Mr. Bruffett was a lawyer that I could depend on; he returned phone calls, answered questions, and advised me. He explained the legal process. I am very thankful for his expertise, during this difficult time. Without Mr. Bruffett's assistance, my outcome wouldn't have have been as favorable. DWI Defense by Former Prosecutors. Call Us, We can Help. The information on this site is not legal advice, it is Attorney Advertising intended to educate potential clients about their need for legal advice and assist them in obtaining a lawyer appropriate for those needs. Use of this site does not create an attorney-client relationship. DWI law is complex and each case is different. You should contact a qualified attorney to discuss your case. 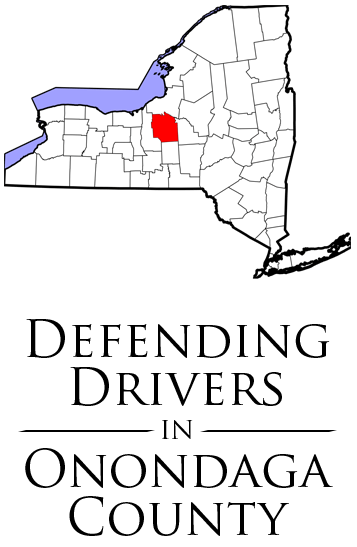 Azria & Bruffett defends drivers charged with DWI, DWAI, and all other alcohol related charges in Upstate, Western, and Central New York. Please call us (315) 364-1155 for a free consultation about your DWI.